The CRISPR/Cas system has greatly facilitated our ability to make precise changes to the genomes of living cells, and has rapidly become one of the most powerful and indispensable functional genomics tools. Multiple research groups contributed to the elucidation of the molecular mechanisms underlying CRISPR/Cas systems. 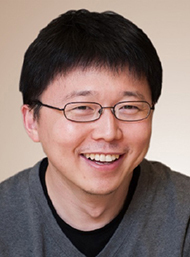 It was Dr. Feng Zhang who first used the CRISPR/Cas system to edit a mammalian genome in January 2013. Since that time, he has led the gene editing field in two critical directions: advancing our understanding of CRISPR/Cas biology, and developing a versatile CRISPR toolbox. Dr. Zhang's contributions in these areas are immeasurable, as the ability to precisely edit the genome of a living cell holds enormous potential to accelerate life science research, improve biotechnology, and potentially treat human disease. Dr. Zhang has also trained many researchers in the use of CRISPR/Cas technology through direct education and by sharing CRISPR/Cas components with academic laboratories around the world to help accelerate global research aimed at benefiting human health. I am greatly honored and humbled to receive the Keio Medical Science Prize, which has been awarded to many brilliant scientists over the years. Having the work that my team and I have done to develop genome editing tools recognized in this way is an incredible distinction, and it inspires us to do even more to find ways to improve human health. On behalf of all the scientists that have contributed to this discovery, thank you. 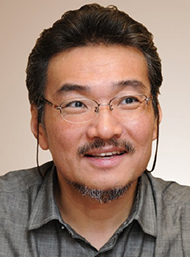 Dr. Masashi Yanagisawa has made pioneering advances in understanding the mechanisms that control sleep, and his research has contributed to the discovery of new drugs. In 1991, Dr. Yanagisawa discovered the novel neurotransmitter orexin, an endogenous ligand for orphan G protein-coupled receptors. On further study, he found that orexin controls the sleep/wake cycle; mice with the orexin gene deleted exhibited symptoms of sleeping disorders, such as narcolepsy. Orexin receptor antagonists have since been developed and marketed by pharmaceutical companies as anti-insomnia medicines. Dr. Yanagisawa has also identified new sleep control genes using mouse forward genetics methods. A deeper understanding of the molecular basis of sleep control, may lead to new breakthroughs in the development of treatments for sleep disorders, and the contribution of Dr. Yanagisawa to this field merits international recognition. I am truly honored to receive the prestigious Keio Medical Science Award and feel humbled going through the prominent list of previous laureates. My achievements would not have been possible without the teamwork of my lab members and esteemed collaborators and I would like to accept this award on behalf of my entire team. Looking back, I realize that exploratory research has always been my style ever since the start of my career. I went into the field of sleep research not because of my own planning but through simple observations of experimental phenomena. From here on out, I plan to remain free and unbiased, asking hard questions and exploring the scientific mysteries that lie before us.